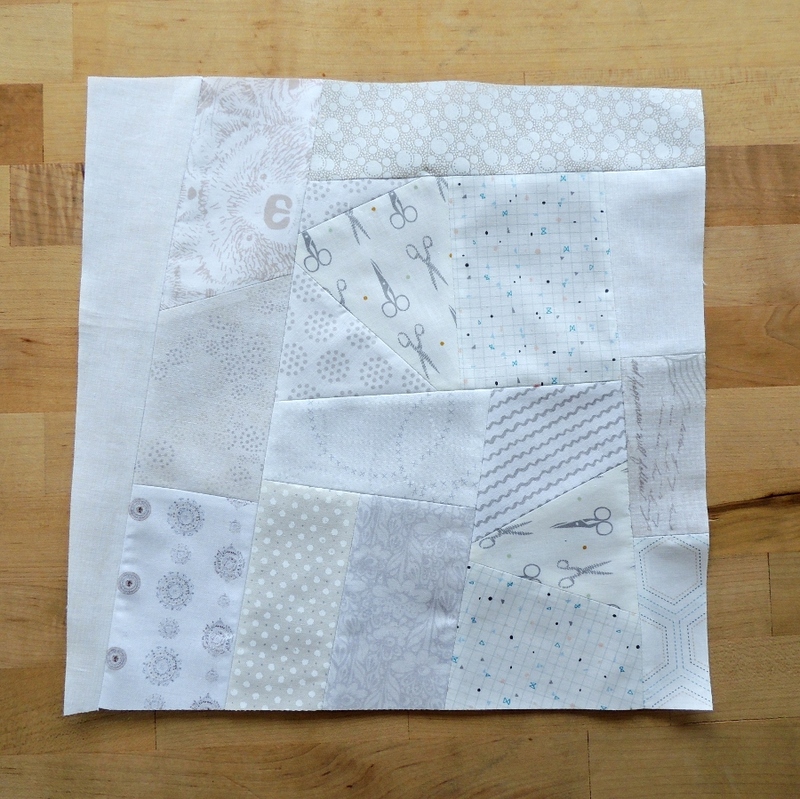 My last block for the Stash Bee this year is a fun “made fabric” low volume block. I pulled from my scraps and only needed to augment a few strips from my stash to get the block up to 12.5-inches square (a bit larger than asked so it can be trimmed down). It is always fun to look back over the year and see all the fun blocks that have been made and sent off. I “crashed” quite a few other hives to make for others, and I sure hope to see how most of these finish into quilts. Speaking of which, I still need to finish my Plus Banner quilt! So much fun! I love all the fun bright colors! Always fun and inspiring to see what’s being made throughout the process to completion. It’s good to have blocks with “trimming room” in a swap situation. Nothing more frustrating than undersized blocks! I really don’t have any low volume fabrics. I usually buy from small online stores–my local store is anything but local–and it’s so hard to really see what these fabrics look like 🙁 But I see that I need to look around again! Yum! This is a fun block. It’s interesting what other people come up with. Your hive (and the few you crashed) have had some fun blocks this year. I love the low volume scraps, the pineapple and the feathers in particular. Beautiful blocks. It was fun seeing them together.